If you are looking to buy a home in Santa Barbara then you have come to the right place. 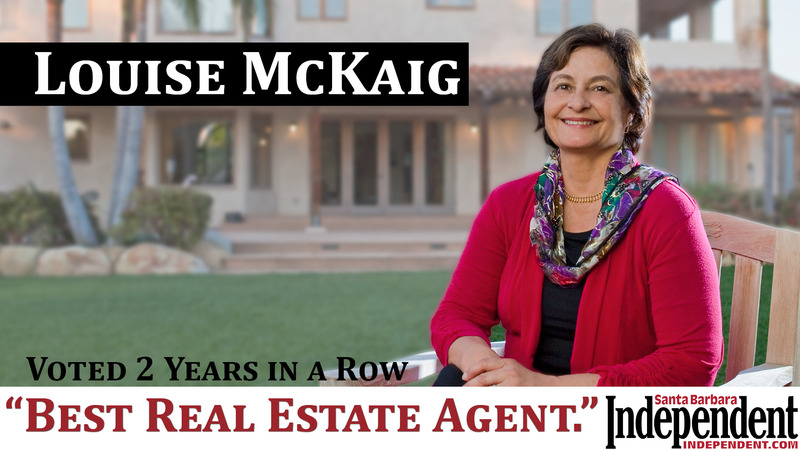 Santa Barbara real estate agent Louise McKaig has built a solid reputation in the community for honesty and integrity accompanied by a longtime track record of representing qualified clients. These qualities not only make her one of the most recommended REALTORS in Santa Barbara, but when it comes to placing an offer in a highly competitive market, having a trusted name can get your offer moved to the top of the pile because other real estate professionals know and want to work with Louise. With the amount of money and liability at stake when purchasing high-end real estate in Santa Barbara you shouldn’t settle for anything less than the best. Louise McKaig is born and raised in Santa Barbara with a family that has been heavily involved in Santa Barbara business and real estate. 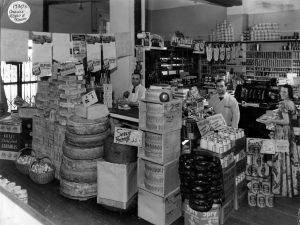 As a 4th generation local, Louise has a vast network of associates and friends that can get the inside scoop on the area’s hottest real estate deals, many before they are on the market. Family connections in Santa Barbara & Montecito for almost 100 years insures you are working with someone who knows the ins and outs of the area and understands and potential problems in various locations. 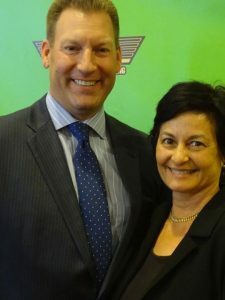 Working with real estate and running local businesses for years has allowed Louise to establish a highly influential and diverse network in the Hope Ranch, Goleta, Santa Barbara, & Montecito real estate community, which has proven crucial in gaining the inside track on competitive purchases and multiple offers. Rest assured that you are ahead of the trend as Louise McKaig travels the country both attending and speaking at various real estate seminars regarding changes in the market, new contracts, modern tactics, and potential changes in the real estate market. Educated and experienced nation-wide in working with high-level Buyers & Sellers. Greatly experienced with multiple offers & contracts, which allows her to better assess your available options in both traditional and distress situations. Louise will handle your sale at the professional and elite level you deserve. She will keep you informed at every stage of the sales process so that you can relax and concentrate on the important things. An estate’s price is usually negotiated at least two times — once when the offer is accepted and again when the inspections and contingencies are about to be released. For something as valuable as real estate, you need an experienced and well-trained negotiator. Louise is skilled in navigating and negotiating through each phase. This ability can get you more of what you want without having to walk away from the sale. Louise takes the time to work you step by step through the various stages, and help you feel comfortable with each decision you make. You are never pressured but guided and advised in your decisions. Louise studies and works with many top financial experts, investors, and real estate professionals in the United States. She has traveled regularly across the country to work with and learn from many of America’s leading entrepreneurs due to her on-going pursuit to provide her clients with the very best in real estate services. Since the beginning of her career Louise has worked with the top luxury real estate brokerages in Santa Barbara, Montecito, and Hope Ranch. From Pitts & Bachmann, which later became Sotheby’s Luxury Realty, to Village Properties Montecito & Christie’s International Real Estate, and now leading the Santa Barbara Luxury Real Estate Team at KW Luxury Homes International. Contact Louise’s Santa Barbara Montecito Real Estate Team HERE for a no-hassle, friendly, chat or email Louise directly using the form below.